Need to impress a client or just feel like treating yourself? Look no further, fancy friends. It's technicaly a part of the millenium tower which makes it technically fancy. Pabu has an asian theme, awesome cocktails, and a very cool bar. And you really can't miss with the Sushi. This place is awesome for groups - they make massive drinks (get the Moscow Mule) that come in elaborately decorated jugs with taps that can be shared amongst a huge group. It's a lot of fun, the food is great, and the ambiance can is best summed up by the pictures of victorian women on the walls taking selfies with their smart phones. 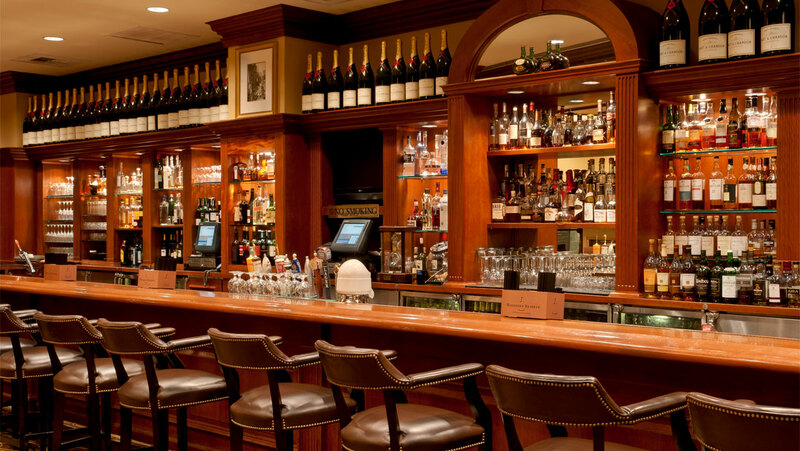 The Omni Parker House, Parker's Restaurant, and, of course, Parker's Bar, are about as historical and classy as it gets in Boston. On top of that, this bar is just beautiful, and a great place to take anyone interested in the the history of Boston. This hotel is where JFK proposed to Jackie, and where he celebrated winning the presidential election. Get the Henry Marliave - it's just so great. Phenomenal menu, awesome staff, and $1 oysters every afternoon if you can get there. Don't order the salted caramel icecream for dessert or you might never leave. This place has a beautiful setup inside and an awesome bar. They have a great wine selection, and that's the main reason this place made it - you need a good wine option, right?